These lawsuits are all-too-common for businesses. Make sure you’re working to avoid them! In our litigious age, it’s not unreasonable to worry about the possibility of a lawsuit. Claims get brought against businesses all the time for a plethora of reasons. Yet even though people seem to always be inventing new reasons to sue, there are a few standard claims. 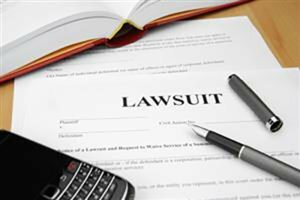 Here are a few of the most common types of lawsuits against businesses. The best you can do is be aware of – and take steps to avoid – them. You probably treat different people differently at the office. That makes sense – you probably spend a lot more time with your senior managers than you do your new intern. But be wary of your actions no matter the scenario or the person involved. Claims of discrimination due to race, religious practice, disability, and sexual preference or identity get organizations in trouble all the time. Evaluate yourself and make sure you’re not acting in a way that could be perceived as discriminatory. Check your supervisors, too. As you appraise you and your managers’ actions, make sure there are no signs of harassment. Differences should be respected and no employee should ever be made to feel unsafe or uncomfortable. Be especially aware of sexual harassment, as these claims are common. Are you carefully tracking the hours your staff spends? You need to be! Under the Fair Labor Standards Act, you need to pay each employee 1.5 times his or her hourly wage for every hour worked past 40 in any given week. Make sure you’re complying with this regulation or you could face legal trouble. Even though you’re proactively avoiding legal trouble, sometimes it finds you. Make sure you’re ready with the right liability insurance to cover the resulting expenses! To make sure your business insurance offers enough liability protection, contact McCarty Insurance Agency in Fresno, California.